The decision comes as somewhat of a surprise, given that it will have been only 20 years since Cleveland’s Progressive Field (then Jacobs Field) hosted the event, while a few other American League teams have waited longer. This would seem to indicate MLB’s hesitation — or outright unwillingness — to give the game to cities whose ballparks it considers to be inadequate or in need of improvement, such Oakland’s o.Co Coliseum (which last hosted the ASG in 1987) and Tampa Bay’s Tropicana Field (which has never hosted it). Furthermore, the Indians will be celebrating the ballpark’s 25th anniversary in 2019, and recently made a series of renovations to the park. 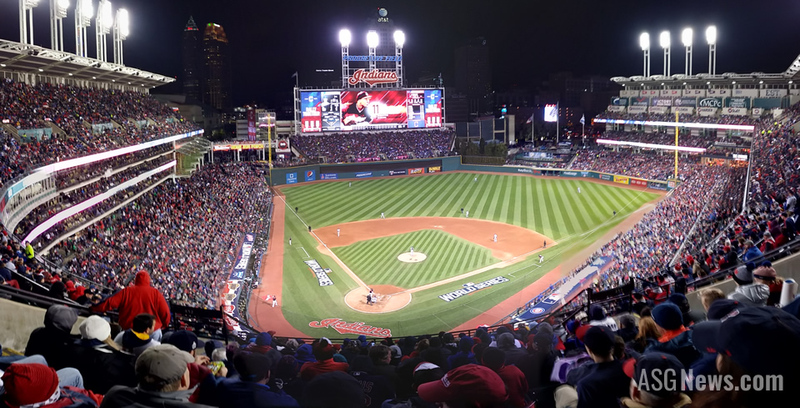 The city’s successful hosting of the 2016 Republican National Convention, along with the Indians’ appearance in the 2016 World Series, might have been contributing factors as well. Although we predicted that Toronto’s Rogers Centre would host the 2019 ASG, it’s possible that uncertainty regarding the field’s playing surface might be undermining such an opportunity. The Blue Jays, along with Tampa’s Rays, are the only remaining MLB teams whose ballparks have artificial turf. Although the Rogers Centre recently got an all-dirt infield, the Blue Jays are still working out the feasibility of adding natural grass, which would be a challenge because of both lighting and the way that the multipurpose ballpark was designed. Meanwhile, the Texas Rangers are scheduled to open a new park in 2020, which would potentially put them in a position to host the 2021 ASG if the 2020 game goes to the Los Angeles Dodgers (who have waited since 1980), the Atlanta Braves (who are opening a new park this year), or another NL team. With the NL hosting four straight All-Star Games between 2015 and 2018, it’s unclear whether MLB will go back to alternating between leagues each year or if they will focus on showcasing new ballparks, regardless of their league affiliation.